As I’ve mentioned, some citizens across the pond were aghast not only at BrainGym itself, but also at the amount of taxpayer money the government spent on it. By 2009, Education Secretary Ed Balls issued a statement admitting the program has no scientific basis. It was too late – BrainGym had caught on. The Education Endowment Foundation also offers an online Toolkit reviewing topics and techniques for cost and effectiveness. A related PDF document, “Neuroscience and Education: A Review of Educational Interventions and Approaches Informed by Neuroscience,” provides a lot of useful information and makes a handy guide. Similarly, the London-based Teaching and Learning Programme, with funding from the Economic and Social Research Council, published a PDF commentary, “Neuroscience and Education: Issues and Opportunities.” This handbook connects neuroscience, psychology and education with a clear, concise overview of current research. Teachers aren’t to blame for “buying into” neuromyths. The ideas are often presented in professional development workshops sanctioned (or even required) by administrators. The products come loaded with glowing success stories from around the world, boasting the credibility of research and impressive results, all packaged in glossy wrappings. Plus, science can be downright intimidating. Just the jargon can be complicated enough to cause a depolarization of postsynaptic membrane potential. (No, I don’t really know what that means.) Why would a teacher question the product’s validity? Teachers want what is best for their students, and professional educators’ organizations frequently focus on research. This would have been a shorter post, but some research results made big headlines a few weeks ago. It’s a good example of how hype can overrun facts, especially when money is involved. The site doesn’t link to the actual studies, instead highlighting positive outcomes in marketing descriptions, but Google came through. The first study mentioned, IMPACT, claims to have improved memory skills as measured by the activity – in other words, if you practice something, you’ll get better at it. But it goes further in claiming that these skills transfer to other tasks involving memory. This was measured with “standardized neuropsychological assessments of memory and attention,” and without knowing what those are, it’s hard to say how similar the tasks are to the training method. With NIH funding, the ACTIVE study took four groups of people over 65, and introduced a specific “training” to three of the groups: one designed to improve memory, one for reasoning ability, and one for speed of processing. A control group had no contact. Some were given “booster” training at intervals, and all were tested again after 5 years and after 10 years. However, the training taught specific strategies, so people learned new ways of doing things. (The memory group was taught mnemonic devices for remembering words; the reasoning group learned methods for decoding logical sequences of numbers.) Learning a new skill is different from maintaining existing abilities in memory and reasoning, but oh well. I’m just a teacher. Well, the results of all three kinds of training were reported, but the study wasn’t designed to compare them. The abstract first published in JAMA, 2002, states that the objective was “to evaluate whether 3 cognitive training interventions improve mental abilities and daily functioning in older, independent-living adults.” That’s different than what Posit says: “The ACTIVE study was designed to compare three different types of cognitive training: one that focused on memory, one that targeted reasoning, and BrainHQ training that exercised speed of processing.” But oh well. I’m not a scientist. The 10-year follow-up has just occurred. The NIH’s National Institute on Aging has the headline, “Cognitive Training Shows Staying Power.” The results? Wait… Business Wire? Oh, yes. Brain-training is big business. In fact, this study’s Conflict of Interest statement shows that several of the scientists in this study are also involved in the commercial products used, including Posit Science. So did he find out? From the videos on the website, the exercises look remarkably like old-fashioned Dalcroze exercises, minus the music. I emailed Hubert last year to ask whether he was influenced by Eurhythmics, and he replied that he was aware of it. The difference, he explained, is that his work is not about the sounds, but just the visual element. He tells us more about how it’s different from other movement “programs” on the website. There are three research studies linked on the site. They are all designed and conducted by, no doubt, sincere and well-meaning teachers. But you don’t have to be a scientist to recognize that the studies aren’t scientifically valid. As in many such studies, Bal-a-Vis-X process and effects aren’t distinguished from any other movement – jogging, dancing, sports, etc. We don’t know what, if anything, the control group did with their time, so it’s unclear whether any exercise, or other exercises with particular features, would have shown the same result. All three studies begin with presuppositions about Bal-a-Vis-X. There’s nothing wrong with having biases or expecting particular results, but the studies were not double- blind or even single-blind, opening up huge possibilities for the testers’ own biases, behaviors, and expectations to influence results. None of the studies describe random groupings. One grouped the students by classrooms, introducing different peer dynamics, classroom environments, teachers, etc. Sample groups were small, and got smaller, and whether differences were statistically significant isn’t addressed. It’s also unknown whether pre- and post- tests were administered under the same conditions. Like BrainGym, Bal-a-Vis-X is selling around the world. 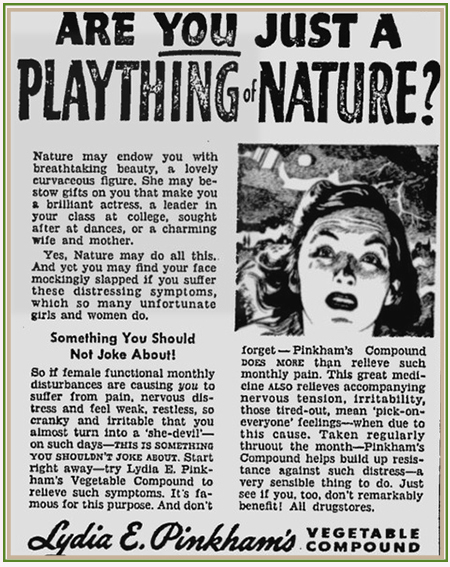 How to feel good: Lydia Pinkham’s Vegetable Compound, a patent medicine first marketed in 1875, was said to ease all sorts of “female complaints.” Its remarkable ability to make women feel better came from a special blend of medicinal herbs… oh, and up to 20% alcohol. How to lose weight: Wear this magic bracelet, or take this magic pill, or apply this magic skin cream… Also, follow the instructions enclosed for a 900-calorie/day diet and an hour of daily exercise. How to make Stone Soup: You know this one, right? Start with a stone, and add olive oil, onions, garlic, carrots, celery, green beans, tomatoes, then stock… Stones are the secret to fantastic soup. Yes, it works; but “it” isn’t always what we think it is. Surely there’s no question that children are wired to move, play, and interact with each other. Their school days are so counter to their natural impulses, introducing small opportunities to move is like watering a thirsty plant. Add to that the excitement of special new activity (let alone an experiment! ), the teachers’ expectations, and the predictions of a particular effect. There will probably be a result, but there isn’t any reliable evidence that specific beanbag exercises or “brain buttons” caused it. The commercial brain-training products are the stone in the soup. Indeed, there’s money to be made. Again, there is nothing implicitly harmful or dangerous about Bal-a-Vis-X, BrainGym, or BrainHQ, but they teach children (and teachers) ideas that simply aren’t backed by facts. Whether or not the purveyors of these products intend to deceive, pseudoscience is their stock in trade. The money spent on these programs could be put to better use in schools; and taxpayer dollars are supporting NIH studies of commercial products when many communities have pressing needs for Health and Human Services. Kids can do a lot with a jumprope, or a ball, or chalk and stones. It’s nothing new. For hundreds of years, children have taught each other street games in their own self-directed play. Naturally, these involved coordination, rhythm, socialization, quick reactions, sensory integration, mind/body connections and brain activity (which occurs 24/7, unless you’re dead). But nobody packaged and sold this, or claimed it cured dyslexia or helped kids spell better. Now, activities that offer less than these old street games are packaged and sold as brain-training, backed by flawed research and debunked theories. They claim incredible benefits, and rely largely on anecdotal evidence. It’s big business. “It works” commercially. For that reason alone, it’s not going away any time soon.